More than 20 of the crypto market’s biggest traders gathered in January for talks on making digital assets and tokens part of the global financial architecture, according to a Bloomberg report published on April 25. 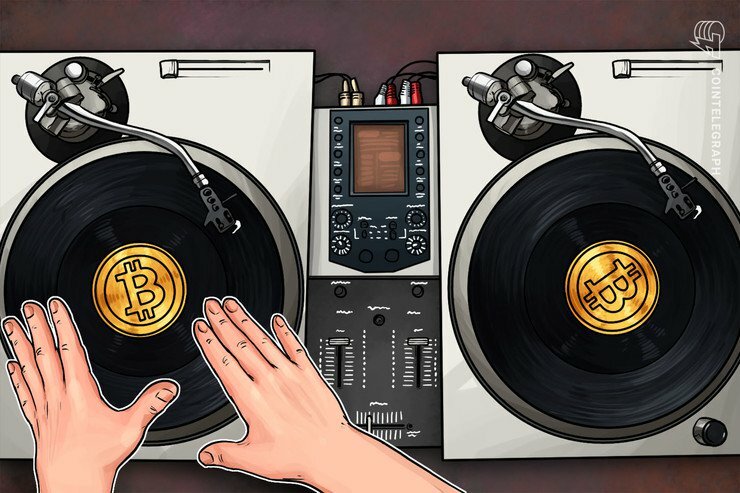 The meeting was reportedly arranged by Standard Chartered executive Hoe Lon Leng — and representatives from Galaxy Digital, Coinbase and Binance were among those said to have attended the talks at a luxury resort in Singapore. Bloomberg reported that the meeting has resulted in plans for a clearinghouse for crypto derivatives that would reduce trading costs while increasing trading volumes. Reportedly known as the Liquidity Offset Network, it could be live and regulated by the Singapore Monetary Authority as early as July. The gathering reportedly focused on over-the-counter contracts rather than bitcoin (BTC) futures, which are commonly traded on exchanges. Nursey said he believed that an accepted guide of trading conventions could encourage more Wall Street banks and institutional investors to begin exploring crypto investments. Today, Genesis released their quarter one 2019 numbers, showing that they processed $425 million in loans, with bitcoin comprising 68%. Ripple, the firm behind XRP, also today released numbers showing that they sold $169.42 million worth of XRP in Q1 2019, up over 31% from the preceding quarter. Cryptocurrency lender Genesis processed $425 million in loans over the first quarter of 2019, according to a report released on April 25. The company’s Q1 Digital Asset Lending Snapshot revealed bitcoin (BTC) continues to dominate demand, comprising 68% of its loan portfolio. Lending in ether (ETH) almost halved to 3.6% compared with the last quarter, andXRP also slightly declined to 6.7%. Genesis, which began to offer USD lending as a pilot scheme towards the end of 2018, said demand for dollars remained strong in the first quarter, representing 10% of its active loan portfolio. The lender added that it is willing to accept digital assets as collateral for cash financing because it means institutions and miners can access liquidity without having to sell assets to inventory. According to the company, it has originated $1.53 billion in loans since launching in March 2018, and by the conclusion of Q1 2019, its active loan book had risen to $181 million. Genesis said it expects to see sustained growth in the second quarter, with rallying crypto prices sparking an acceleration in lending activity. New firms are continually entering the crypto lending industry. As reported by Cointelegraph, San Francisco-based Dharma Labs launched its lending service to the public at the start of April. At the start of the year, Genesis CEO Michael Moro said the crypto bear market had certainly helped its business grow. American rapper Lil Pump has started accepting bitcoin (BTC) payments through his merchandise store Unhappy, according to his website. Fans of the 18-year-old, known for his catchphrase “Esskeetit” and his most recent album Harverd Dropout, can select crypto as a payment option at the checkout. The rapper has 17.8 million followers on Instagram, 1.2 million followers on Twitter and 2.3 million likes on Facebook. Shoppers can either choose to pay off-chain using a BTC Lightning Network wallet or on-chain through a standard bitcoin wallet. Selecting one of these options generates a QR code, which can then be scanned to complete the transaction. The checkout platform is secured by OpenNode, which automatically converts BTC generated from transactions into the merchant’s local fiat currency to avoid volatility. The payment processing company’s website says the Lightning protocol delivers instant settlements and low fees for businesses. This week, Lightning Labs announced the launch of their Lightning Network client for the main Bitcoin network, noting that it was still an early version aimed at developers. More merchants have been starting to accept bitcoin in recent months, with many using payment companies that instantly convert cryptocurrencies into fiat. On April 15, the UK’s biggest travel management firm announced that it is now giving its clients the option to pay for business bookings using BTC. Corporate Traveller, which is using BitPay to offer the service, said the move was in response to increasing demand. Overstock.com, an online retail site, has been accepting bitcoin as payment since 2014. Nike has filed a trademark application for the phrase “Cryptokicks,” a document filed with the U.S. Patent and Trademark Office on April 19 shows. The footwear giant’s application describes offering crypto wallets and “downloadable mobile applications for providing access to crypto collectibles, crypto art and application tokens” — as well as operating an online marketplace featuring footwear and clothing. 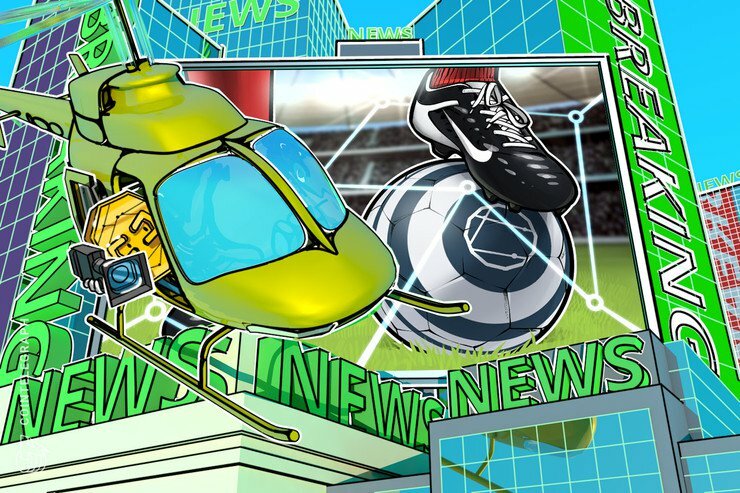 Elsewhere in the document, Nike sets out how it wants to reserve the Cryptokicks name for providing “online blogs in the field of crypto collectibles” and offering online computer games such as scavenger hunts, treasure hunts and obstacle courses. Gerben explained that the application was made on a “1B” basis, which means Nike has submitted a sworn statement indicating they intend to use the trademark in the near future. The filing means that the public or Nike’s business rivals have 30 days to mount an objection. Nike has been pushing its mobile app and social media strategy aggressively, and according to the brand’s website, its digital commerce business is now worth $2 billion. Unlike the previous bull market, recovery this time is likely to be a long one because every higher level will bring in huge supply, causing the market to correct. We also expect the markets to take a dip intermittently to shake out the weaker hands. Many still doubt the future of this nascent asset class. In a recent survey of a few European nations, 63% of participants were confident that cryptocurrencies will exist in 10 years in some form or the other. However, the respondents were not that upbeat on Bitcoin, as only 49% believed that it will exist in 10 year from now. Even fewer, only 7%, hope to see Bitcoin as an investment and security tool in 10 years. This shows that some are still oblivious to the huge potential of this space. However, companies across the world have been experimenting with blockchain technology and cryptocurrencies. Societe Generale SFH is working towards improving the transparency and transferability of bond issuances. In this regard, it has issued 100 million euro bond as a security token on the Ethereum blockchain. Samsung might launch its own cryptocurrency named Samsung Coin, according to anonymous sources. Walt Disney Corp. is in talks to buy out online gaming giant NXC Corporation, which in turn has stakes in Korbit and Bitstamp crypto exchanges. Bitfury has obtained approval for a dedicated bitcoin mining fund for institutional investors from Liechtenstein. This will give an opportunity to the institutions to invest in the interesting world of bitcoin mining. Currently, altcoins are tumbling. Do any of them offer a buying opportunity? Let’s find out. Bitcoin (BTC) is currently facing some resistance close to $5,600. However, both the moving averages are trending up and the RSI is still close to overbought levels. This shows that the bulls are in charge. On the upside, a breakout of $5,600 can propel the price to the next critical zone of $5,674.84–$5,900. We anticipate the bears to defend this zone. Hence, traders can book partial profits on their remaining long positions above $5,600 and keep the stop loss on the rest at $4,800. Conversely, if the bears sink the BTC/USD pair below the 20-day EMA, it can slide to the next support at $4,914.11. This is a critical support, which might hold. A breakdown of this level will hurt sentiment as it will weaken momentum and indicate that the bears are still shorting at higher levels. If the bulls fail to defend $4,914.11, the digital currency can dip to the 50-day SMA. The next few days are critical as it will determine whether the recovery is over or if this is only a shakeout. Ethereum (ETH) again reversed direction from the overhead resistance at $180 on April 23. The price has broken down of the 20-day EMA and has re-entered the triangle, which is a bearish sign. This shows that the breakout from the triangle did not find any buyers at higher levels. If the bulls fail to push the price back above $167.32 within the next couple of days, the ETH/USD pair can drop to the 50-day SMA. A break of this support can sink the pair to $144.78. Hence, traders can retain the stop loss on the remaining long positions at $150. We would have suggested closing the entire position but the moving averages are still sloping up and the RSI is at the midpoint, which shows that the bulls are still in the game. If the bulls quickly push the price back above $167.32, it will again try to break out of the overhead resistance zone of $180–$187.98. It will pick up momentum above $187.98. After holding the 50-day SMA for four days, Ripple (XRP) plunged below it today. This is a negative sign. It can now drop to $0.27795, which is a critical support. If this support also gives way, a retest of the yearly low at $0.24508 will be in the cards. However, if the support at $0.27795 holds, the XRP/USD pair might remain range bound for a few more days. The 20-day EMA is gradually sloping down and the RSI has dived into the negative territory, which suggests the bears are back in command. The pair has been one of the weakest digital currencies as it has not participated in the recent recovery. This shows a lack of demand for it. We therefore withdraw the existing buy recommendation. We will wait for the price to signal a trend reversal before suggesting a long position in it. Bitcoin Cash (BCH) has broken down of the 20-day EMA and is on its way to the next support at $255. The 20-day EMA is flat and the RSI is at the center, which points to a consolidation in the near term. If the bulls fail to defend $255, it will be a negative sign. The next stop is the 61.8% Fibonacci retracement of the recent rally at $241.97. If this level also fails to hold, the drop can stretch to the 50-day SMA. The trend is gradually turning in favor of the bears, but if the BCH/USD pair finds buyers at $255, it will remain range bound between $255 and $335.63 for a few days. The attempts by the bulls to push EOS back above the 20-day EMA did not sustain. It has plunged below the support and is on its way to the next support of $4.4930. The uptrend line of the rising wedge is at this level and the 50-day SMA is placed just above it. Therefore, we expect a strong defense by the bulls. But if the price breaks down of the uptrend line, it will complete the bearish rising wedge pattern that has a target objective of $2.80. However, there are a slew of supports between $3.8723 and $3.00. We expect one of these to hold. With the 20-day EMA weakening and the RSI in the negative territory, the bears are attempting to regain the upper hand. Nonetheless, if the EOS/USD pair bounces off the 50-day SMA, the bulls will try to push the price back above the 20-day EMA and the downtrend line. If successful, a rally to $6.0726 and above it to $6.8299 is possible. We suggest traders wait for the price to stabilize and signal a turnaround before attempting to go long. Litecoin (LTC) failed to rise above the 20-day EMA after breaking down of it on April 21. This attracted further selling and the bears broke down the immediate support of $74.6054. The price is presently at the 50-day SMA, which is a strong support. If this support also breaks, the drop can extend to $62.450. Conversely, if the LTC/USD pair rebounds from the 50-day SMA, it will attempt to rise to the overhead resistance of $91. The 20-day EMA has started to slope down and the RSI has declined into the negative zone. This suggests that the bears are making a comeback. Considering the weakness, we have withdrawn the buy proposed in our earlier analysis. We will wait for the uptrend to resume before suggesting a trade in it. Binance Coin (BNB) has pulled back to the 20-day EMA after failing to make a new high on April 20. Both the moving averages are sloping up, which shows that the trend is bullish. The RSI has also corrected the overbought levels. If the price rebounds from the 20-day EMA, the bulls will again try to retest the lifetime highs. However, if the BNB/USD pair slips below the 20-day EMA, it can drop to the uptrend line of the rising wedge. The 50-day SMA is just below this level, hence, we anticipate a strong support at this level, but if the price fails to hold this support, it will complete a bearish rising wedge pattern that has a minimum target objective of $13.60. We shall wait for a reliable buy setup to form before recommending a trade in it. Stellar (XLM) has broken down of the 50-day EMA and the immediate support of $0.1090. It is currently trying to find some support at the uptrend line. The 20-day EMA is starting to turn down and the RSI has dived below 50. This shows that the bears have the upper hand. If the bulls defend the uptrend line, the XLM/USD pair might attempt to bounce back above the moving averages. If the price ascends the moving averages, it will then face resistance at the downtrend line. On the other hand, if the bears sink the pair below the uptrend line, it will become negative and can slide to $0.08. Though Cardano (ADA) broke out of the channel on April 23, it hit a roadblock at $0.082952. Currently, the price has dipped to the 50-day SMA, which is a strong support. But if this level gives way, a fall to the support of the channel is probable. The 20-day EMA is flat and the RSI has dipped into the negative zone. This shows that the bulls are losing their grip over the ADA/USD pair. It will show signs of strength if it can break out of the channel and rise above the overhead resistances of $0.082952 and $0.094256. We will wait for the price to stop falling before turning positive. Tron (TRX) triggered our suggested stop loss on the long positions at $0.024 on April 23. The bulls have failed to push prices higher. Hence, it can now drop to the next support at $0.02094452. The 20-day EMA has turned down and the RSI has dipped into the negative territory. This shows that the bears have the upper hand in the near term. If $0.02094452 holds, the TRX/USD pair might remain range-bound for a few days, but if the support breaks, the fall can extend to $0.0183. Any attempt to recover will face resistance at $0.02815521. Considering the repeated failed breakout attempts, we shall wait for the price to rise above $0.035 before suggesting any fresh positions once again. The 20-day EMA has started to turn down and the RSI has also dipped into the negative territory. This shows that the bears are gaining an upper hand in the short-term. American entrepreneur and stalwart crypto advocate John McAfee says he is holding back on plans to reveal the real identity of bitcoin (BTC) creator Satoshi Nakamoto, for fear it will expose him to further lawsuits as he fights potential extradition to the United States. The news was reported by Bloomberg on April 24. McAfee reportedly further noted that the alleged Nakamoto “is not a happy camper about my attempt to out him.” Bloomberg adds that while McAfee had at first told the news agency he would make his disclosure within a week, he is now holding back over concerns that the move could make him the target of multiple lawsuits. Himself no stranger to controversy, McAfee has allegedly been indicted by the U.S. Internal Revenue Service (IRS) over self-avowed tax avoidance, and could thus face potential extradition from the Bahamas, where he currently resides. As widely reported, Nakamoto’s sudden disappearance in late 2010 has spawned a myth almost as famous as the cryptocurrency he, she or they invented on October 31, 2008 with the publication of the bitcoin white paper. Bloomberg notes that McAfee told the agency that Wright is emphatically not the man he has tracked and identified as bitcoin’s creator. 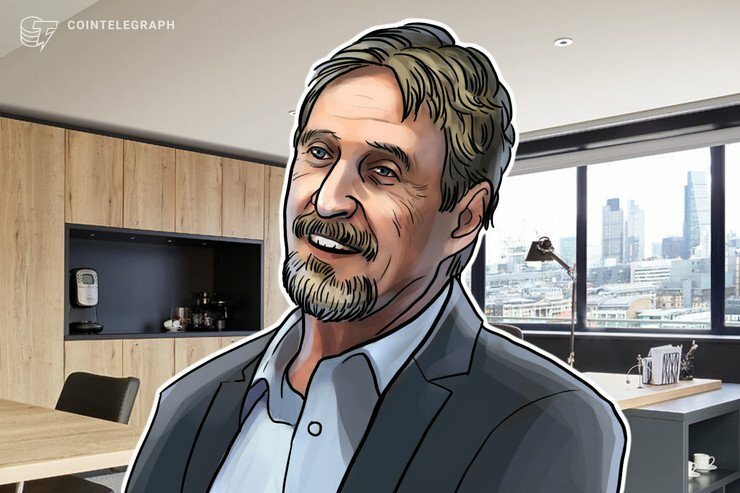 As Cointelegraph has reported, McAfee is meanwhile also planning to run for president in the 2020 United States elections as part of his crypto advocacy efforts. In light of his ongoing legal battles, he has pledged to run his campaign in exile from a boat in international waters. 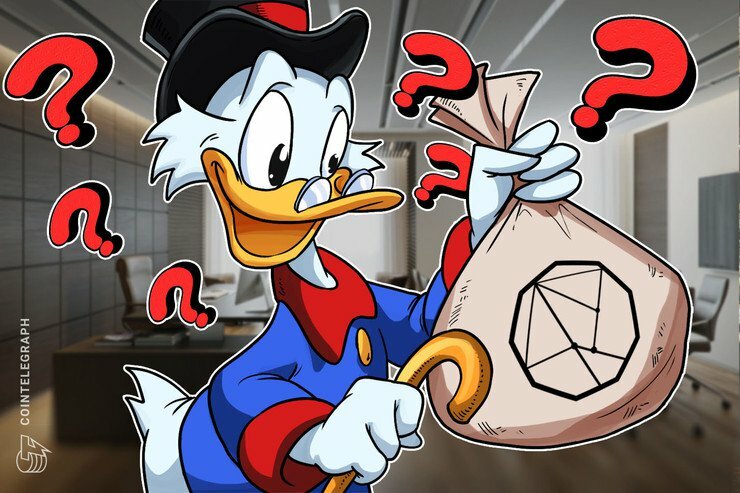 Two major cryptocurrency exchanges could soon have Walt Disney Corp. as their owner if a $13 billion equity deal goes through, South Korean English-language daily news outlet The Korea Herald reported on April 17. Citing a banking industry source speaking to another publication, JoongAng Ilbo, The Korea Herald revealed the chairman of online gaming giant NXC Corporation, Jung-ju Kim, plans to sell his 98.6% stake in the company. NXC owns 47% of Nexon, South Korea’s largest game developer, which in turn has stakes in South Korean exchange Korbit and European platform Bitstamp through a Belgian subsidiary. According to the source, Disney, with whom Kim has a close relationship, is already the preferred buyer, other competitors including Chinese internet giant Tencent and South Korea’s Kakao Corp. The equity buyout would be worth 15 trillion won ($13.2 billion), and would give Disney a significant if coincidental foothold in the cryptocurrency exchange industry. Bitstamp is the oldest major exchange still in operation, originally hailing from Slovenia, while Korbit began operations in 2013. Neither Nexon nor the exchanges involved have yet produced public comment on the press rumors. To date, Disney has had little to do with cryptocurrency, its Dragonchain blockchain remaining a fringe project despite a 2017 initial coin offering (ICO) raising around $13 million. As Cointelegraph reported, last week saw another major investment in the South Korean exchange space, with the owner of fellow platform Bithumb gaining $200 million funding from a Japanese blockchain fund. 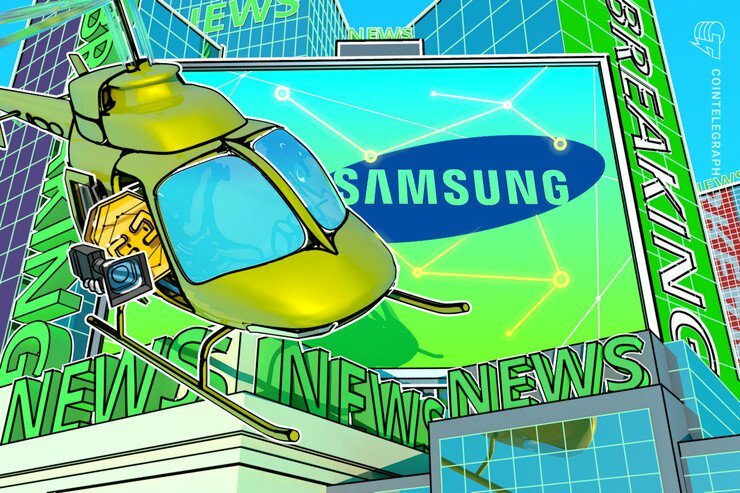 South Korean electronics giant Samsung may end up developing a public-private blockchain complete with its own cryptocurrency token, an anonymous source told crypto industry news outlet CoinDesk Korea on April 24. The project, part of an undertaking by the company’s dedicated blockchain division, would see a blockchain mainnet appear based on Ethereum (ETH), along with a new asset dubbed Samsung Coin. “We expect Samsung Coin to come out in the market, but the direction has not yet been decided,” the source, who is in touch with the plans, told the publication. The news, while not confirmed officially, comes as Samsung continues its various forays into both the blockchain and cryptocurrency spheres. Last week, the company gave a fresh signal about its belief in the long-term profitability of the emerging phenomena as it participated in a $4 million investment round in smartphone-based wallet app ZenGo. Samsung’s existing enterprise blockchain offering, Nexledger, also continues to see uptake from entities worldwide, most recent of which came in the form of Indian IT giant Mahindra. The ETH-based offering would meanwhile likely incorporate elements of both public and private blockchains, with exact details similarly still forthcoming. Blockchain tech giant Bitfury has partnered with a Swiss investment firm to release a dedicated bitcoin mining fund for institutional investors, executives confirmed on Twitter on April 24. Bitfury, which develops various blockchain-related software along with mining services, confirmed that Final Frontier, in which it holds a minority stake, had gained regulatory approval for the fund from neighboring Liechtenstein. Focusing on institutions, the fund will give major investors access to the world of bitcoin mining, with Bitfury describing its creation as beneficial for the emerging sector. 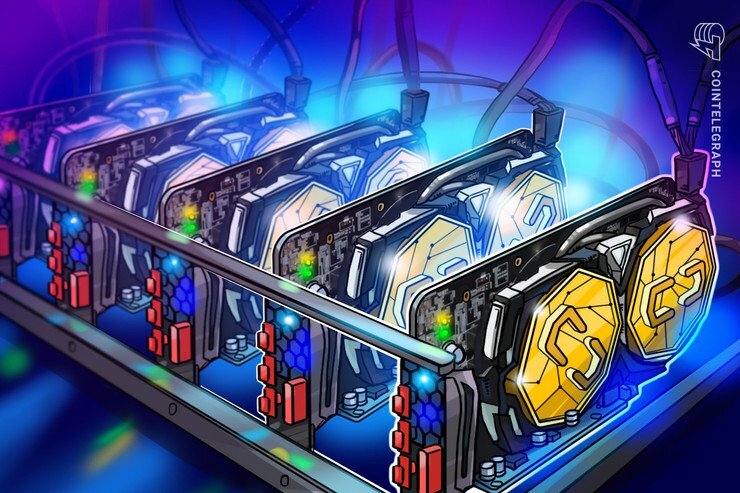 Bitfury will provide the hardware for the project, which will also leverage the company’s various mining centers to source power and deliver favorable mining costs. “With the bitcoin (BTC) price down significantly from its all-time high, yet institutional interest growing every day, now may be an opportune time to consider investing in bitcoin mining,” Imraan Moola, co-founder of Final Frontier, additionally told Reuters. The move comes at a productive time for Bitfury, which earlier this month made Forbes’ list of the top 50 companies worth $1 billion or more using blockchain worldwide. As Cointelegraph reported, the mining sector has experienced a troublesome six months, last November’s price dip to $3,100 sparking a chain of warnings from major market players. In China in particular, where authorities now plan to crack down on mining, participants said that lower bitcoin prices were forcing them to abandon their operations independently. 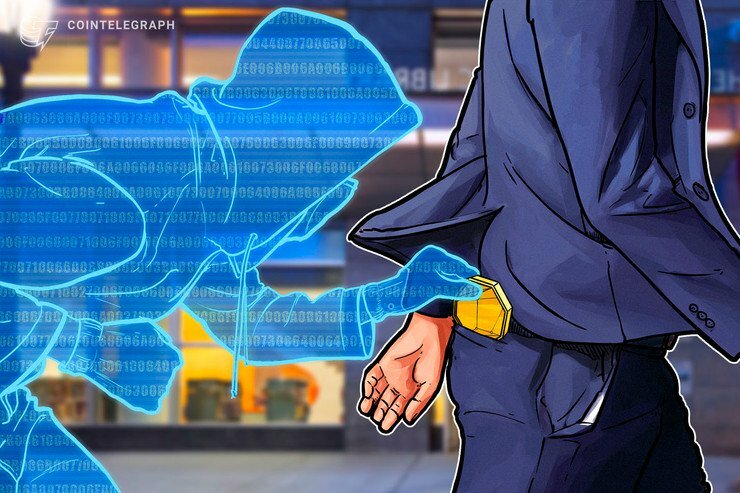 A “blockchain bandit” has managed to amass almost 45,000 ether (ETH) by successfully guessing weak private keys, according to a report released by Independent Security Evaluators on April 23. Adrian Bednarek, a senior security analyst, said he discovered the sophisticated hacker by accident. While guessing a private key is meant to be a statistical improbability, he managed to uncover 732 private keys through his research — giving him the ability to complete transactions as if he was the account holder. The report notes that rather than using a brute force search for random private keys, it used a combination of looking for faulty code and faulty random number generators. At the height of ether’s value, it is estimated that the bandit’s haul would have been worth more than $50 million. At the time of writing, the funds would be valued at approximately $7.8 million. According to Bednarek, the private keys may have been vulnerable because of coding errors in the software responsible for generating them. Another theory is that crypto owners who obtain private keys through passphrases are generating identical ones by using weak entries such as “abc123,” or even leaving their passphrases blank. Although the identity of the blockchain bandit is unknown, Bednarek has suggested that a state actor such as North Korea could be behind the thefts. In March, a U.N. Security Council report claimed that the isolated state had amassed $670 million in fiat and cryptocurrencies through hacking attacks as it tries to circumvent punishing economic sanctions.